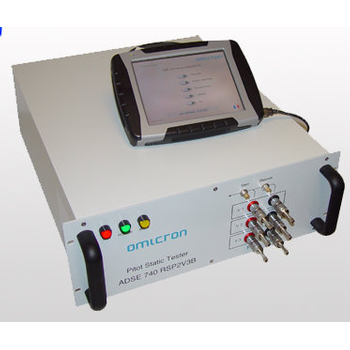 Since more than 15 years, Omicron is the specialist for high precision measurement and control systems for the aerospace and defense, automotive and medical industries. 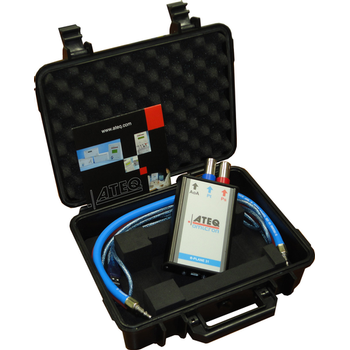 The H 6000, a new comer in the ATEQ range of leak detectors, is one of the finest gas tracer and hydrogen leak detectors on the market today.This gas is less expensive than Helium gas. 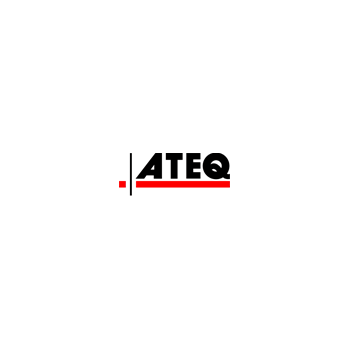 Furthermore, it's a volatile, non-toxic and nonpoisonous gas without any environmental impact. 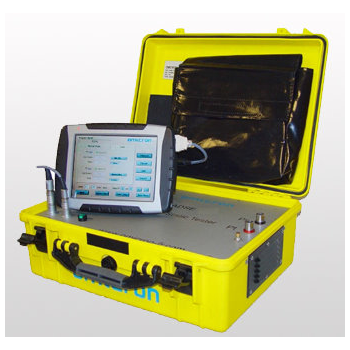 The right solution for bonding resistance measurement according to all current aircraft specifications on plane, helicopter, rocket, army vehicles for both production and maintenance.A very easy-to-use and versatile instrument, for applications requiring up to 10 A measurement current. PSAT UNIVERSAL Ps is a static adaptor for virtually ANY KIND OF AIRCRAFT.PSATUNIVERSAL Ps is very easy to use on the plane: power ON the Succion Unit place the Universal adapter on the aircraft and adjust the Ps port release the Security Valve (blue): You are ready to test your static port !Pneumatic insulation is made with rubber tube. 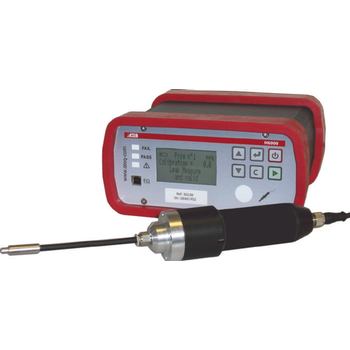 PSAT UNIVERSAL Ps is fittedwith a quick connector, which allows to use the adaptor as a cap for special tests. 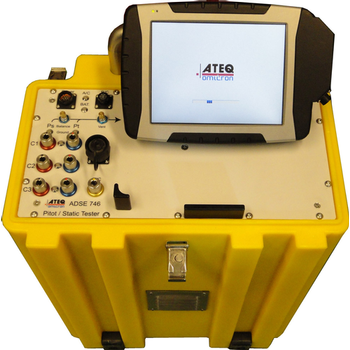 The ADSE 740 is a complete high performance dual pressure Ps and Pt standalone test bench specially designed to be used in the workshop or in the laboratory to test and calibrate all air data equipment such as altimeters, vertical speed indicators, air speed indicators, MACH-meter, air data computers ...) and sensors. 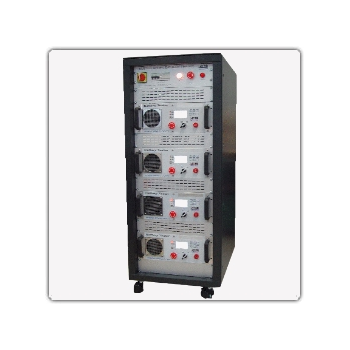 The ADSE 743 caters fully for all aircraft types and the different electrical power supplies. 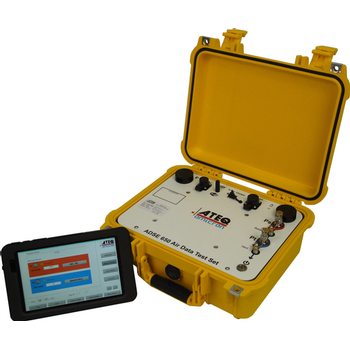 The ADSE 643 caters fully for all aircraft types and the different electrical power supplies.It can be used for testing high performance civil and military aircraft, fixed and rotary wing.This Pitot Static tester is designed primarily for flightline use to cover the testing of all barometric and manometric pressure instrument systems.The ease of use and portability enables all checks to be carried out easily on the flight deck or in the cockpit, by a single operator.The test set is housed in an anodized metal and rugged case.An attached case contains the pressure hoses and electrical cables. 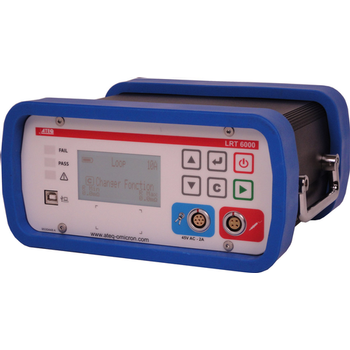 The ADSE 650 caters fully for all aircraft types and the different electrical power supplies.It can be used for testing high performance civil and military aircraft, fix and rotary wings. 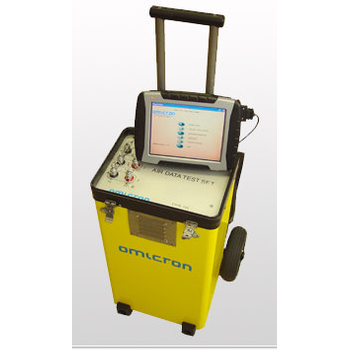 This Pitot Static Tester is designed primarily for flightline use to cover the testing of all barometric and manometric pressure instrument systems.The large touch screen display, with on-screen help ,enables all checks to be carried out easily on the flight deck or in the cockpit, by a single operator. 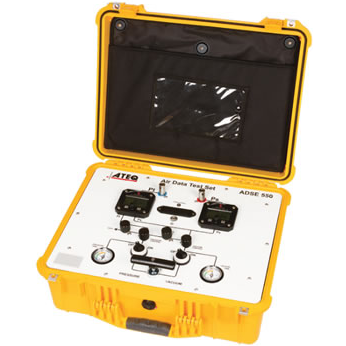 The ADSE 550 pitot static tester, housed in a plastic carrying case, is a portable, self contained field tester designed to test aircraft pilot ans static systems for leaks as well as the operation and calibration of airspeed, altimeter, engine pressure ratio, manifold pressure indicators, and other vacuum or low pressure units. 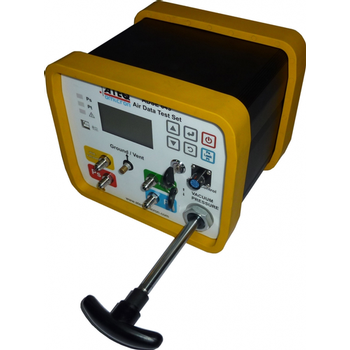 The tester consists of a hand-operated vacuum pump, a hand-operated pressure pump vacuum and pressure gauges, 5 control valves, an altimeter and an airspeed indicator. The package accessories include two 25-foot hoses. 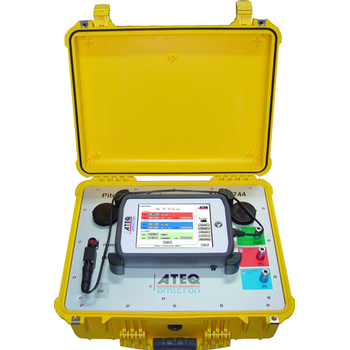 The ADSE 745 caters fully for all aircraft types and the different electrical power supplies.It can be used for testing high performance civil and military aircraft, fix and rotary wing. 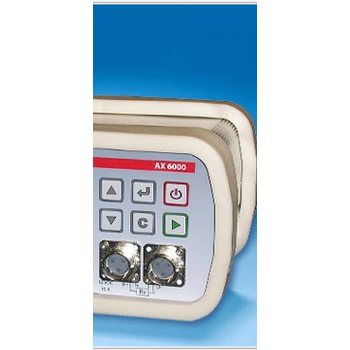 The multi-pressure outlets option can suit the more complex pilot-static-systems. 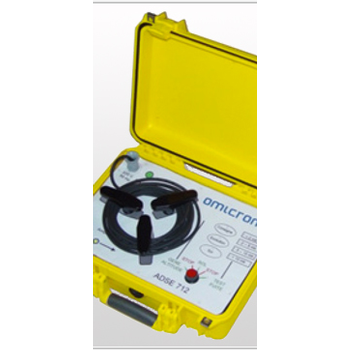 This Pitot Static Tester is designed primarily for flightline use to cover the testing of all barometric and manometric pressure instrument systems.